Home Archive by category "Rogue Software"
What is Boost My Mac? 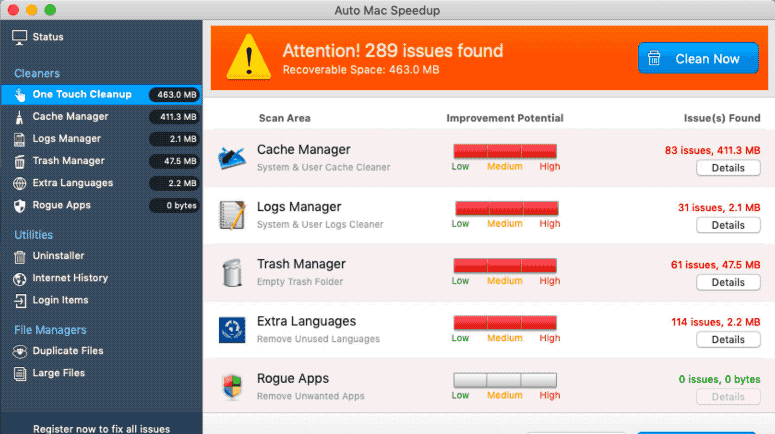 What is Auto Mac Speedup? 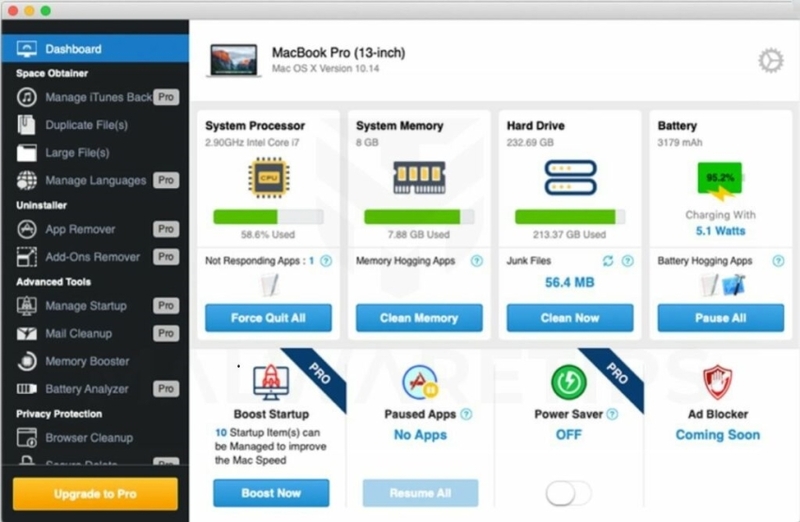 MacPerformance is promoted as a tool that can boost up your computer performance. Beyond that, the program is also known for its persistent activity without user permission. The thing is that the main source of income of MacPerformance is advertising and it, therefore, will flood your system with the countless ad. Furthermore, it’s the main culprit responsible for permanent redirects that often lead to questionable web-pages containing diverse infections. 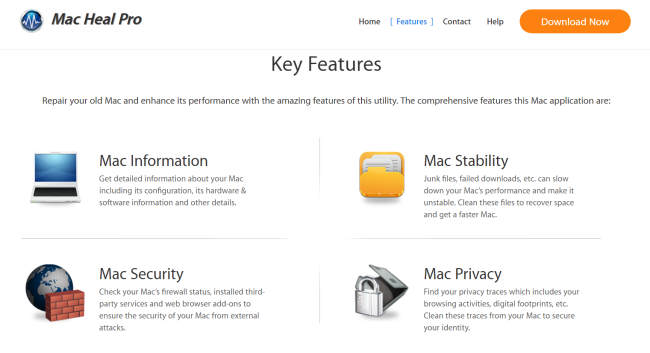 Mac Optimizer is a rogue software claiming to improve computer’s performance and clean up your Mac from junk. This app only pretends to detect errors that probably don’t even exist, moreover, to fix the ones user will have to buy a license. 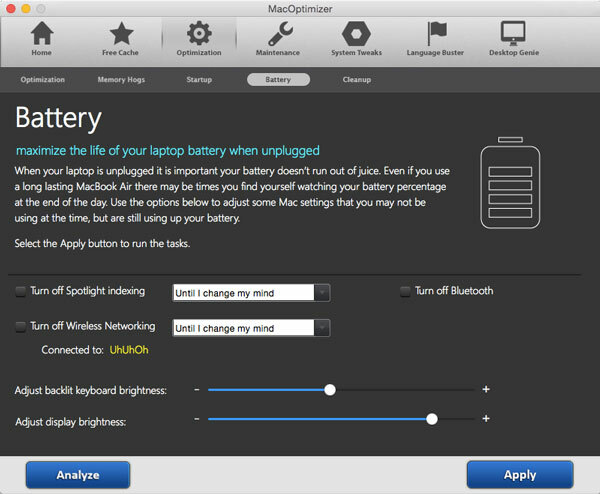 Therefore, we don’t recommend you to use Mac Optimizer, as it’s a useless program that does literally nothing. 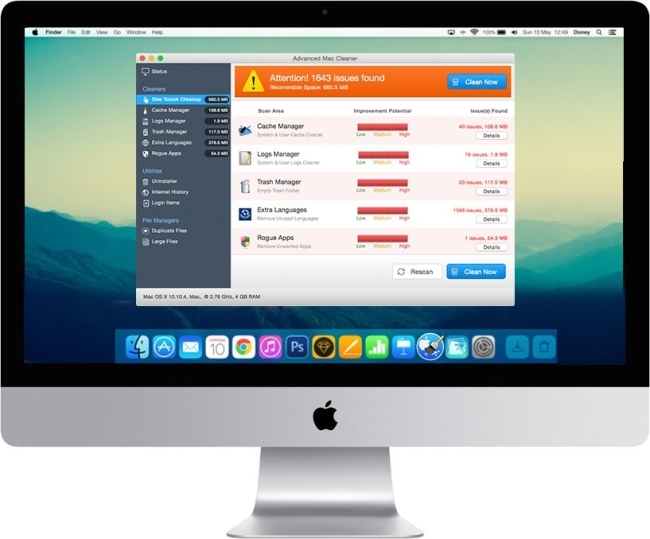 Advanced Mac Cleaner is a bogus software designed to trick users into paying for literally nothing. The workflow of the app is simple enough – once launched, it starts to scan your system which results in displaying errors, threats and other issues affecting the system’s performance. 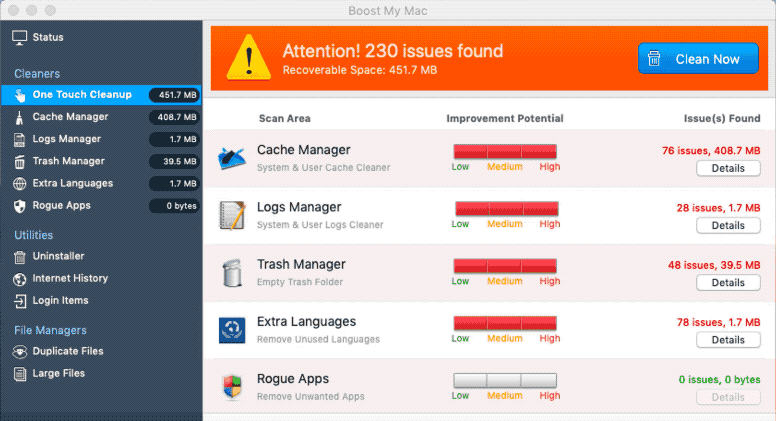 To eliminate all detected problems, a user is encouraged to purchase the paid version of Advanced Mac Cleaner. 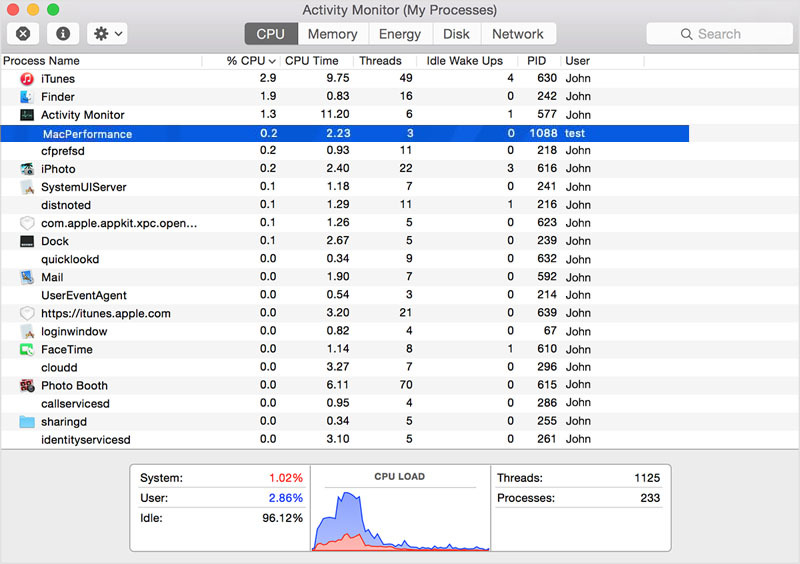 Mac Cleanup Pro is a deceptive application claiming to boost up a performance of your computer. The first thing that should alert you is a distribution method. 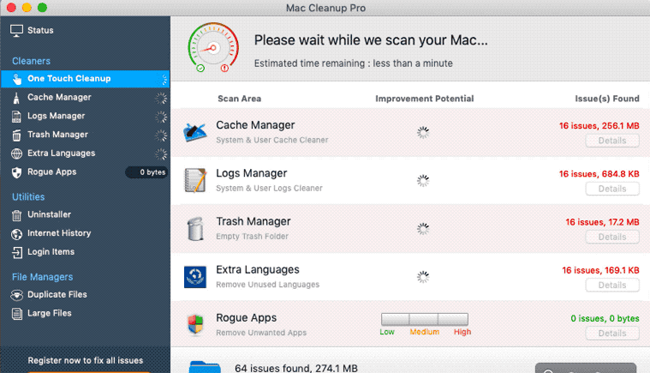 Mac Cleanup Pro comes bundled with other software and is installed automatically if a user doesn’t decline optional Mac Cleanup Pro offered by download client. 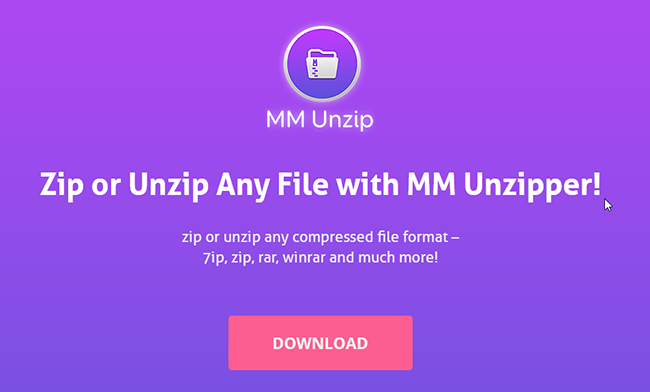 MM Unzip is a sneaky application for Mac computers, which, along with declared functions, takes advantage of users’ computers for advertising puproses. It mostly penetrates system bundled with other freeware that user may have downloaded from Internet so MM Unzip was hardly installed by user on purpose. After installation, it hijacks web-browsers to display various pop-up advertisements and cause redirections to force users to visit certain sites. Mac Heal Pro is a potentially unwanted program which is distributed via malvertising: some ads may redirect the user to scam page stating that your Mac is infected with viruses or your anti-malware program is out-of-date. To solve this problem, you’re offered to download Mac Heal Pro. This application, in turn, scans the system and then prompts users to buy a license key to remove allegedly detected errors, malware, junk and privacy issues.